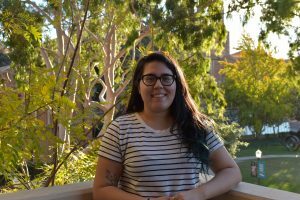 Elena is a fourth year Art major from San Francisco double minoring in Chicanx Studies and Visual and Performing Arts Education. She is interested in exploring how art can be used to empower and heal, especially for disenfranchised communities, such as those affected by mass incarceration, deportation and criminalization. She’s always down to eat salteñas and read anything by Chimamanda Ngozi Adichie. In her free time she likes to dance to Kool and the Gang, Earth, Wind & Fire and other funky soul music. Rosa is a fourth year double major in English and Psychology. The reason she edits and writes is to promote issues which do not have a voice. Words are very powerful and she wants to help change the world, one word at a time. Amara is currently a third year Art major who is planning to minor in Global Studies. She is born and raised in Montecito Heights, Los Angeles. Amara uses photography and video to document and explore the histories of people and places that have shaped her. She is interested in where she and her community go from here. 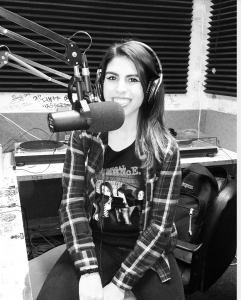 Andrea is a third year Political Science major who hosts the Chismeando Con La Gente radio show. She enjoys Mexican produced films, nostalgic novelas, and Rock en Espanol. 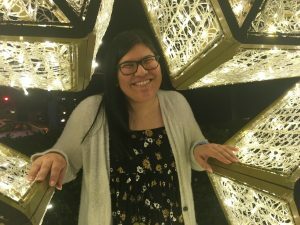 She hopes to one day give back to her community by providing supplemental help to Latinx students struggling in school in order for them to pursue a higher education. Angela is a first year Sociology major from South Gate, CA. She is interested in education systems and social interactions. Her passions are dogs, coffee, music and memes. She is either writing, reading, eating, or hugging a dog. 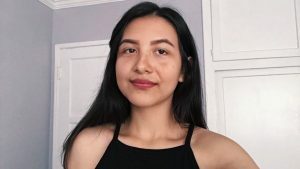 She hopes to not only educate herself but others on Latinx issues and help give her fellow peers a voice. Ashley Huendo is a first year History major from Long Beach, CA. She’s passionate about intersectional feminism and social justice. 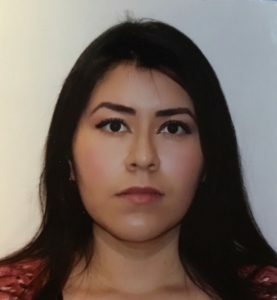 She hopes to go to law school in the future but in the meanwhile, enjoys spending her days eating empanadas de piña and volunteering with sea animals at the Aquarium of the Pacific. Melissa Díaz is a first year political science major from Venice, CA. She is very passionate about advocating for social justice from an intersectional standpoint while educating herself and others. Through her writing, she hopes to give a platform to those voices and communities that have been erased from history, are misrepresented, and marginalized. During her free time, she enjoys playing the violin, the guitar, writing, and practicing yoga. 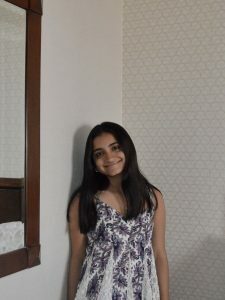 In the future she hopes to go to law school to represent those who are wrongly targeted by the legal system and whose rights are being violated to promote justice and equality. 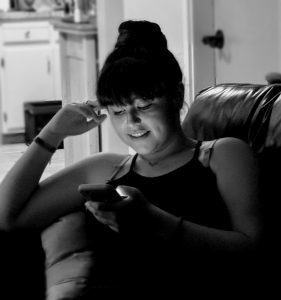 Gabrielle is majoring in fine art, with an emphasis in photography, and minoring in sociocultural anthropology. She is interested in analyzing issues within education systems, and making both art and education accessible to wider audiences. Pottery, museums, and empanadas de jamón y queso are among her favorite things. 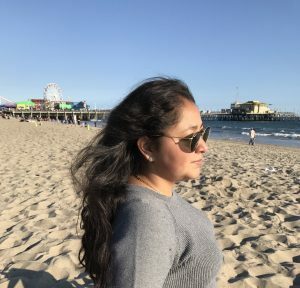 Laura Sandoval is a third year English major with a minor in Chicanx Studies. She loves cats, cacti, photography and going on road trips. 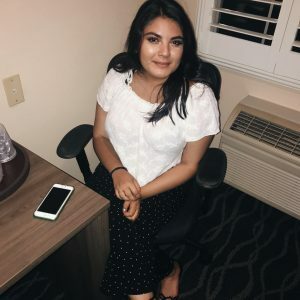 She is hoping to capture stories and their beauty along with raising awareness on the many issues that are targeting the Latinx community, from mental health to the many inequalities they face. 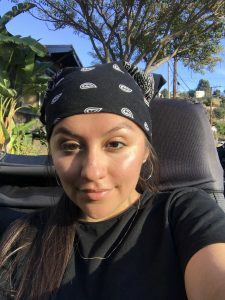 Candy is a 3rd year Life Science major and Chicana/o studies minor from Venice, CA. During her free time she enjoys watching late night talk shows, spending time with friends and family, and trying new food. She aspires to serve her community and inform them of their rights. You can find her shopping, organizing her planner, watching UCLA sport games, and studying. 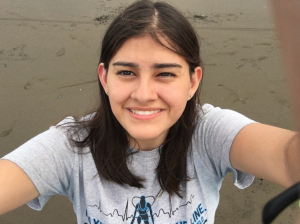 Alondra Castanon is a second year English major from the Bay Area. She enjoys nostalgic writing, going to concerts, visiting new places, and travel photography + writing. She is a Chicana feminist who advocates for gender equality, social justice, and the animal rights movement. Irlanda Mora is a third year from Pomona, CA. She’s passionate about social justice and advocating for marginalized communities. In her free time, she reads about urban development. Specifically, about the impact of development projects on the members of the communities they intend to ‘revitalize’ She also enjoys a good laugh! Ha! Daisy Soto is a second year student hailing from La Puente, CA. She loves learning about different cultures and is making it her mission to try food from every country. On her free time, catch her watching The Office for the millionth time. Born on the outskirts of a small town in Mexico, Daisy Vargas has made Los Angeles her second home. She likes to use her experiences in the big city to inspire her poetry and memoirs. When she is not sitting outside under the lemon tree with her parents, she is usually at the beach with her friends. 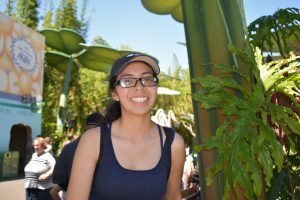 Vanessa is a third year art major, minoring in Chicano studies. When she’s not making things with her hands and contemplating on artistic endeavors, you can catch her spending time with people she loves and skipping to the newest adventure (or napping). 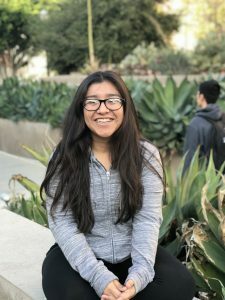 Elizabeth Garcia is a third year Political Science major and history minor that was born and raised in East Los Angeles, California. When she is not busy finishing schoolwork or working, she is most likely trying some new bomb LA restaurant, falling at concerts, or practicing guitar. 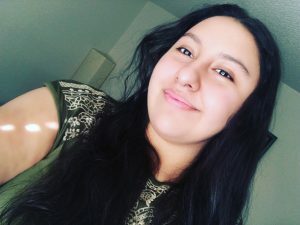 She also loves to discuss and educate herself about different social issues regarding feminism, racism, homophobia, and animal rights, and she hopes to further this discussion as a part of La Gente. 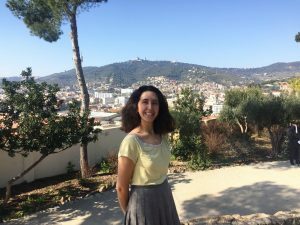 Maria is a third year International Development Studies major with a minor in Global Studies. She grew up in Mexico and currently lives in Tulare, California. She is a museum junkie, a dessert lover, and a Criminal Minds fanatic. She aspires to attend medical school and one day work with Doctors Without Borders in order to serve low-income communities across the globe. 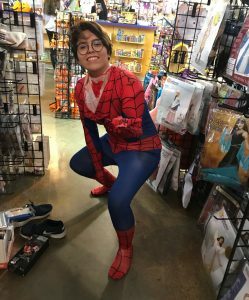 Israel Cedillo is a third year Art Major with a wide range of interests from environmental science to community organizing to going out for midnight tacos. He is looking forward to tackling the intersectional issues within the Latinx community and making new resources for our Bruins and LA locals to have a voice. Kathy Castillo Escutia was born in Los Angeles and raised in Sun Valley, CA. She is the youngest and the first in her family to go to college. Despite coming from a low-income household, Kathy‘s persistence allowed her to achieve "the impossible", which she could not have done without the shining example of her hard working family. She’s a strong believer of the proverb "Where there‘s a will, there’s a way", and she hopes to inspire youth from disadvantaged communities to attain a higher education. Kathy Castillo Escutia nació en Los Ángeles y se crió en Sun Valley, California. Ella es la más joven y la primera en su familia en ir a la universidad. A pesar de provenir de un hogar de bajos ingresos, la persistencia de Kathy le permitió lograr "lo imposible", lo que no podría haber hecho sin el brillante ejemplo de su familia trabajadora. 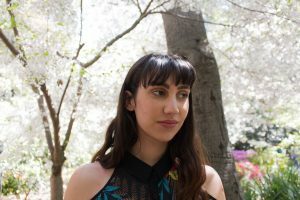 Ella cree firmemente en el proverbio "Donde hay voluntad, hay una manera", y espera inspirar a los jóvenes de comunidades desfavorecidas para que obtengan una educación universitaria. 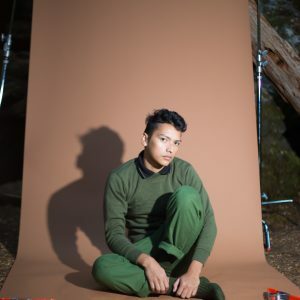 Alex is a first year art major at UCLA who grew up in the Northeast Los Angeles community of Highland Park. She is passionate about photography, writing, and being an advocate for social justice. In her free time she loves learning about dinosaurs, creating art, and practicing magic tricks. 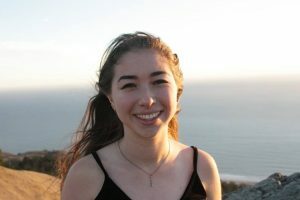 Abigail is a third-year student at UCLA studying English and creative writing who lives inside the world of journalism and reporting. She hopes to articulate the words and dreams of the unspoken to platforms where change and advancement can become possible. She keeps her dreams secret but her hopes are shared with the rest of her family who continue to uplift her passed the hatred of the world and into a universe of hope and love. 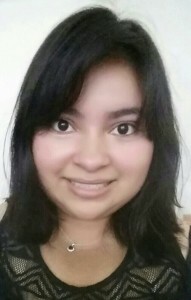 Cristina is a third year, studying sociology with minors in urban planning & theater. 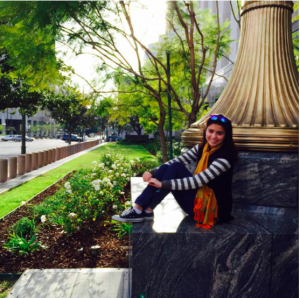 Growing up in Los Angeles made her very comfortable being in large diverse cities and led her to her interest in pursuing a masters in urban planning and perhaps a career in journalism. 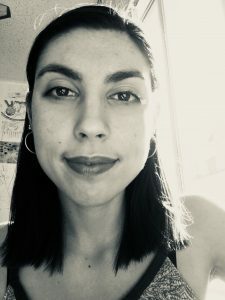 Art and performance play an important part in her life and she hopes to write critical stories for La Gente that examine that as well as current Latinx news. She loves to research & be 20 tabs deep when writing a story as well as performing improv and theater. Nicole is a first year Ecology and Evolutionary Biology major and Latin American Studies minor from the Bay Area, CA. Her interests include animals and plants, visiting museums and quirky shops, and exploring new cuisines. 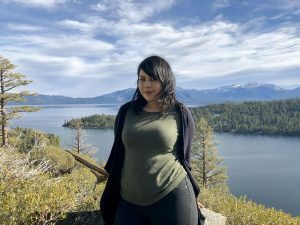 She is passionate about creating illustrations to bring awareness to causes that are important to her, including human rights and environmental issues, and she hopes to further create artistic content for La Gente to enhance the experiences and stories of the Latinx community.